I did feel mean about waking my kids up at 4am to go to look at geysers. Honestly, I did. It seemed unfair to rouse them from their slumber. 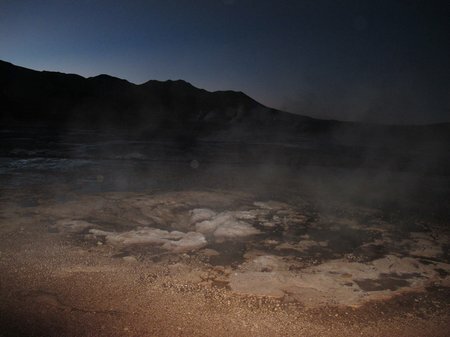 This entry was posted in Chile, International Escapades and tagged Chile, El Tatio Geysers on November 23, 2010 by wandermom. We are currently in Chile. You can read about our adventures so far on our family world trip here. 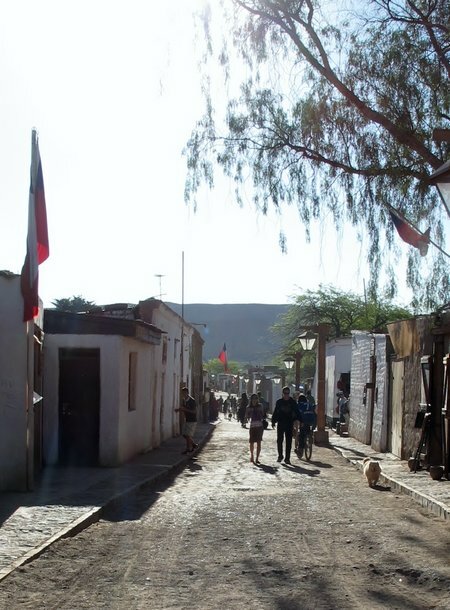 This entry was posted in RTW and tagged Chile on October 15, 2010 by wandermom. 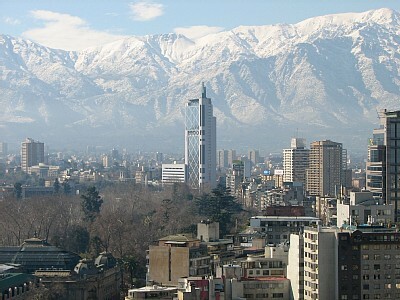 We have a starting point for our RTW trip: Santiago, Chile. We had discussed starting out by renting an RV and exploring the Western U.S. We considered Australia, Thailand and even Ireland. Essentially, we needed to pick a starting point and decide to stick with it so that I could start investigating airfares and accommodation choices and create a budget for the trip. So Chile it is. The land of O’Higgins, Allende, and Neruda. The country which came to the aid of Shackleton when the Endurance was lost and the crew wereperilously clinging to their lives on the inhospitable shores of Elephant Island. The review of Santiago by Craig from TheWideWideWorld was my tipping point. I was looking for a starting point which was somewhere new – where we’d never been before, noticeably different to home but not so different that it would make CAM feel completely out of his depth. The reality of starting our trip will be huge for him since he hates change and is a reluctant traveler. Craig’s description of Santiago seemed to fit the bill perfectly. I’m glad to see that there are listings for rental properties in Santiago on VRBO and HomeAway (for ~$400/week). If you have recommendations for a property management company, please, send them my way. Ditto for language schools and ski resorts or operators. I’ve got the Lonely Planet Chile and Easter Island guidebook which will be my bedtime reading for the next couple of weeks. If you have visited Chile, please leave a comment with your favorite attractions or activities so I can keep these in mind as I do my research. This post is part of the Monday Dreaming series hosted by MotherOfAllTrips. This entry was posted in Chile, International Escapades, RTW and tagged Chile, family world trip on November 17, 2008 by wandermom.